from what i can gather, i think the writer really caters to korean preferences when it comes to romance in this drama.. i hv korean buddy who told me she prefers aerin and kimbon to take their time in building relationships coz she just lost her husband..
i guess i can understand that coz we talked so much about how its only been two months since her husband died. i think there will be no romance but maybe they will show something that could lead to romantic relationship in the future.. I think it’s X, no idea who he is but the baddie told K to stay low and X will do the job. aigoo there are so many alphabets involved in this drama.. K, X..
One thing guys. I forget the dads name, but they he dad in the mom group that is also friends with bin or his ‘double agent’ for KIS, isn’t he the husband of bins ex flame that he thinks is dead? The heels were a dead giveaway (no pun intended). But it hasn’t been addressed yet so maybe I’m just wrong? We already know who K is. Voice is M, Shim is X.
We﻿ ﻿already know who K is. Voice i﻿s M, Shim is X. Then, I'll just forget the spot where I've buried my hope for kiss scene. Because it seems impossible to dig it out in the future. I should've cremated the hope-for-kiss and throw the ashes to the beach near me. 1. JYT's development arc - from being a narcissistic cowardly villain that we have seen at the beginning , JYT has come a full circle. I liked that he was smart enough to contact Kwon ( honestly all the non-NIS agents here are way sharper than the NIS & cops) which saved Bon's life. Nice to see him give whatever money he could get his hands on to his driver , allowing the latter a new lease of life. After all he understood what it was like to be just a pawn in some else's game. Then I appreciate that he gets to do one final heroic deed tonight of offering himself as bait - given the tone of this drama I don't think he will die. He is likely going to get a new identity after he recovers and sip mojito somewhere . 3. Finally as we all had speculated, Kwon is good and that Shim has been the traitor from the start. Bon's name cleared and he is back as an agent. I thought SJS was spot on with his emotional scenes here. 4. While I was never a big fan of Agent Yoo 's spying skills, I was surprised at how sad I was when she was knocked down. I think she gave the emotional pull for everyone to rally together . I have a soft spot for DW and the actor playing him ever since The Liar and his Lover. I giggled when he put on a suit and decided to go out to field. I hope he and agent Yoo get to go to Iceland together. So my war cry for tonight as we had to the finale...GIVE US SOME ROMANCE!!!!! i really feel sad for KB about Shim. It was really cruel to ‘eliminate’ people because it goes against the system, what BS and to be brought down by the same person you trusted for years. I am still praying the wrap up will be less than 20mins. btw the photo of terius team, KB with a tie? Mojito ? that is namsan tower right! ive been to that place twice..
Im going to watch 'so im married my antifan' next! I like choi soo young hehe..
Ive been there too but cant recall that thing lol. And did they sell mojito at night too?? 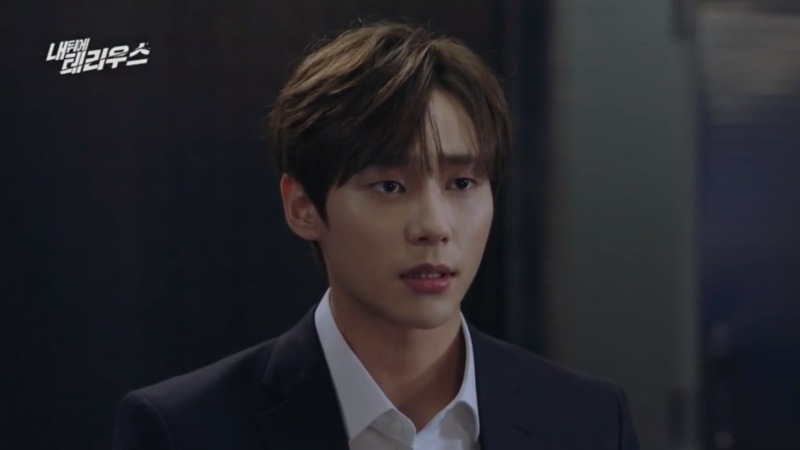 Ok..I know, there is 50-50 hope tonight finale will be satisfactory but just in case (because I tend not to write anything if I feel so frustrated), let me first say thank you to all the live recappers (especially @ktcjdrama and @jeonghyang and occasionally @triplem). To all those who have been posting the bts, gifs, yt of the OSTs and to those who made me LOL with all the witty opinions/comments and funny predictions, kamsahanida too..you guys surely made this journey throughout the drama to be really fun and awesome..thank you again..see you guys again in the next drama..